The Milwaukee Brewers and the Pittsburgh Pirates will meet on the field at PNC Park on Monday in a battle of division rivals. The Brewers will trot Brent Suter out to the mound in this one. Left hander Suter has a 1-1 record and a 2.96 ERA this season. Suter’s opponent in this one will be Chad Kuhl. The Pirates right hander has a 4.96 ERA to go along with a 3-6 record this season. Suter has posted two straight quality starts since stepping in for the injured Chase Anderson. The 27-year-old held the New York Yankees to two runs and five hits over 6 1/3 innings of a no-decision in his last outing on July 8. Suter made four relief appearances against the Pirates last season, allowing three hits over 5 1/3 scoreless frames. Kuhl had recorded two consecutive quality starts this month before being asked to make an emergency spot start on July 9 against the Cubs in which he gave up one run over three innings. The 24-year-old needs to work on pitching deeper into games, but he has posted a 3.51 ERA over his last eight outings. Kuhl is 2-0 with a 2.21 ERA in four career starts against the Brewers. Oddsmakers currently have the Pirates listed as 121-moneyline favorites versus the Brewers, while the game’s total is sitting at 9. The Milwaukee Brewers’ excellent play away from home has been a major reason for their position atop the National League Central. The Brewers hope to continue their strong performance on the road when they begin a four-game series against the Pittsburgh Pirates on Monday. The Brewers own a 4 1/2-game lead over the Chicago Cubs in the National League Central, and they can credit the NL’s third-best road record at 24-18. “Especially with what’s ahead of us with this 10-game road trip, a tough road trip, continuing that momentum is important for us,” Milwaukee manager Craig Counsell told reporters. “Getting some wins and feeling good about it, everybody is doing their job, that’s what is going on.” The Pirates are seven games behind the Brewers, and the outcome of this week’s series could play a huge role in determining their strategy ahead of the non-waiver trade deadline. Pittsburgh took two of three from visiting St. Louis over the weekend and has won seven of nine overall. Pittsburgh was a 4-3 winner in its last match on the road against the Cardinals. 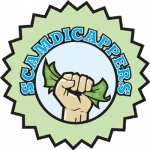 They won as +105 underdogs, while the total score of 7 made winners of UNDER bettors. Milwaukee was a 5-2 loser in its last match on the road against the Phillies. 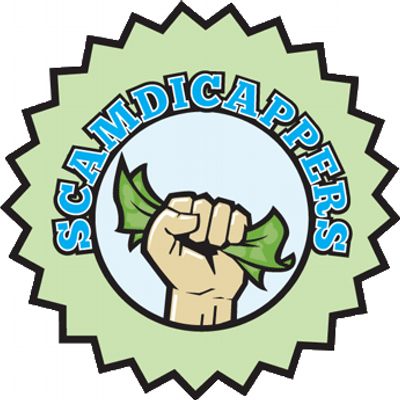 They lost as -151 favorites, while the total score of 7 made winners of UNDER bettors. Where to Bet on Milwaukee Brewers vs. Pittsburgh Pirates? 1. Brewers 2B Jonathan Villar is 12-for-34 during his season-high eight-game hitting streak, while RF Domingo Santana is 12-for-26 with six doubles and a homer during his seven-game run. 2. Pirates OF Andrew McCutchen is 11-for-27 during his seven-game hitting streak. 3. Milwaukee has homered in nine straight contests and 27 of its last 29. Milwaukee Brewers will win outright at +111 and the game will go over 9 runs according to scamdicappers.com. PREDICTION: Brewers 6, Pirates 4 at . Brewers trail the league in walks with 2.5 per game. Brewers strike out the second least opponents in the league with 6.9 per game. Pirates are third worst in the league in times striking out with 8.2 per game. Pirates have the second stingiest defence in the league at 3.6 runs per game. Pirates are second best in the league in giving up hits, allowing 8.0 per game. Pirates are third in the league in striking out opponents with 7.8 per game.